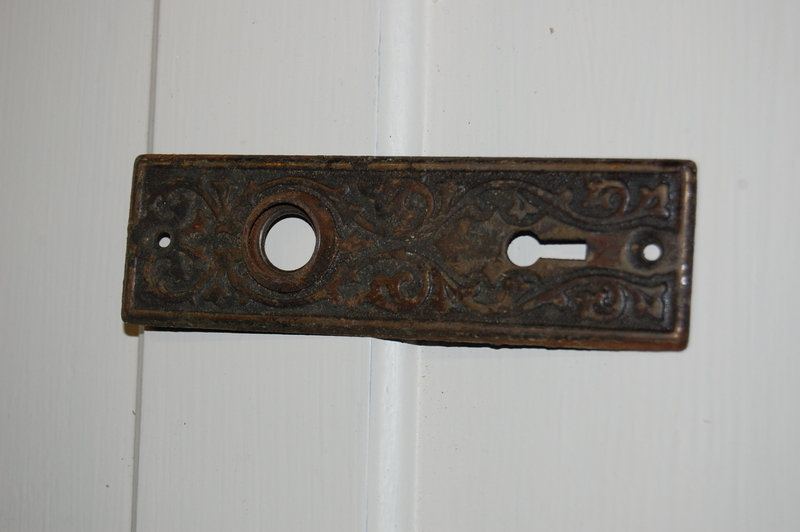 another escutcheon ;different filagree pattern, possibly different manufacterer. measures 1 and 9/16 x 5 and 3/8. art nouveau. .